Indian politicians condemning America for gun violence against its Sikh population forget India’s own past. There is little question that the tragic killing of six Sikh worshippers at a Gurudwara in a Milwaukee suburb on Sunday was a depraved and reprehensible act. It also underscored the toxic brew produced by combining the United States’ lax gun control laws with the resurgence of racist ideology. That being said, the official reaction of the Government of India to this horrific incident reeks of hypocrisy. The outrage expressed by the Indian National Congress, the principal component of the current ruling coalition, the United Progressive Alliance (UPA) is entirely insincere given that it has done little or nothing to bring the perpetrators of the 1984 pogrom against the Sikh population of New Delhi to justice. In this tragedy it should be emphasized that as many as 800 Sikhs were systematically slaughtered in the streets of the nation's capital. 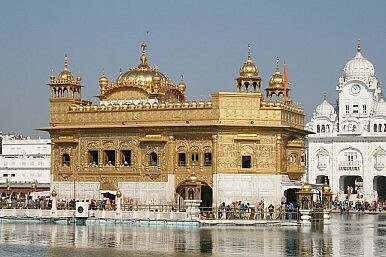 The attacks took place in the wake of Prime Minister Indira Gandhi’s assassination by two of her Sikh bodyguards in 1984. The bodyguards were motivated by her decision to send Indian troops into the Golden temple in Amritsar, the holiest of Sikh shrines, after Sikh separatists had seized it. To ostensibly avenge her death, a host of street thugs, many of whom are believed to have been associated with the Congress Party, went on a rampage across much of the city attacking Sikh neighborhoods and killing many of those they came across. With its track record of being either unable or unwilling to prosecute the key individuals who organized and directed the grotesque events, the Congress Party’s denouncements of the U.S. government ring hollow. Had Wade Michael Page, the individual accused of the heinous crime in Wisconsin on Sunday, not been fatally wounded by police after Wade had shot the first officer to arrive on the scene 8 or 9 times as the officer sought to care for the wounded, rest assure U.S. Law would have certainly followed its course. Page would have faced the full weight of a fair trial and would have, in all likelihood, paid dearly for carrying out this cruel and wanton act. Publicly upbraiding the United States for allowing individuals to have easy access to firearms and for the racist proclivities of an individual may well generate enthusiastic press coverage and electoral support for India’s politicians. However, it cannot wash away the stain from India's own flawed record in its abject failure to bring the guilty to justice for the terror that they had unleashed upon a segment of their hapless, innocent citizenry in the closing months of 1984. Theyyam is a vibrant folk religion from Kerala, India.